It is a little known fact that, in the early Eastern Christian churches, the timing of the celebration of Easter was based on the date of the Jewish Passover. According to ancient records Jesus was crucified just before Passover. The famous last supper was the day before that. While the sacrificial lambs were being slaughtered for Passover, Jesus was undergoing crucifixion and so became the ultimate sacrificial lamb. In the Jewish tradition Passover is the 8 day observance commemorating the freedom and exodus of the Israelites (Jewish slaves) from Egypt in 1446 BCE during the reign of the Pharaoh Ramses II (1279 BCE — 1213 BCE) or, according to some scholars Amenhotep II (1436 BCE — 1410 BCE). Jewish Laws and Customs place the first day of Pesach (Passover) on the 15th day of the Jewish month of Nissan. Nissan is the first month of the Jewish calendar year. 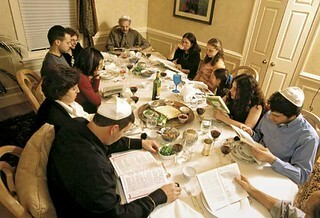 As the Jewish day begins at sundown the night before, for the year 2011, Passover began at sundown on April 18th. The Jewish year is lunar based and it is not the same length as the solar year used by most of the western world. Passover, and other important dates, always varies on the solar calendar. The beginning of the lunar month is marked by the first sliver of moon that is visible after the new moon. In ancient times this was determined by observation. For an excellent and detailed background of the Jewish calendar see this link. The Jewish calendar, however, coördinates all three of these astronomical phenomena. Months are either 29 or 30 days, corresponding to the 29½-day lunar cycle. Years are either 12 or 13 months, corresponding to the 12.4 month solar cycle. In the Christian tradition Easter is the Sunday after the full moon which falls on or after the spring equinox (in the northern hemisphere). 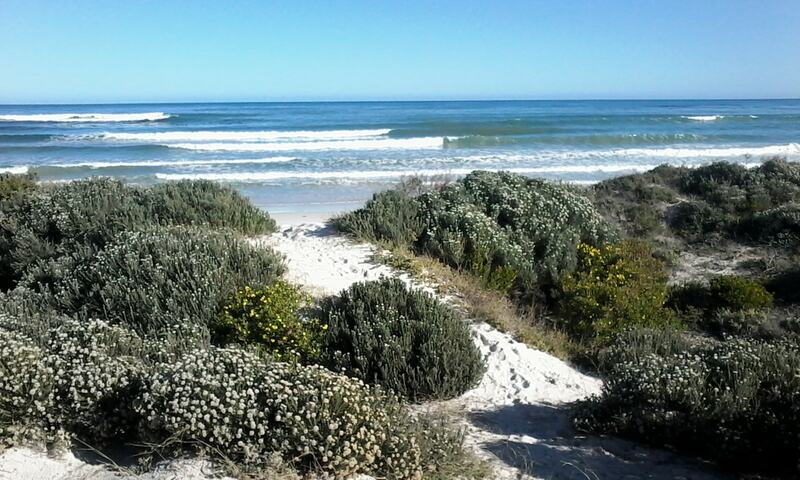 The date of the equinox is taken as 21 March. With the introduction of the Gregorian Calendar in 1752, mathematical tables were devised by the Astronomer Royal, Rev James Bradley (1673–1762), as a method of calculation of Easter Sunday. 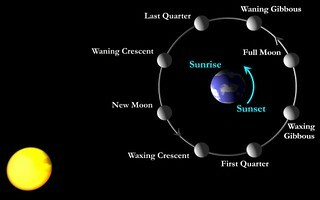 In this way a lunar event (the full moon) is married to the Solar-based Gregorian calendar to give us the (moveable) date of Easter Sunday. In 2011 Easter Sunday falls on the 24th of April. The Christian celebration of Holy Week begins with Palm Sunday the day of Jesus’ triumphal entry into Jerusalem on the back of a donkey where the crowds laid palms in His path. 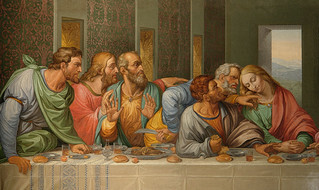 Holy Thursday commemorates the Last Supper which was held the evening before the Crucifixion. Friday in Holy Week is the anniversary of the Crucifixion, representing the day before the Jewish day of Passover and the day that Christ was crucified and died on the cross. Holy week and Lent end with Easter Sunday, the day of the resurrection of Jesus Christ. what is the significance of the “napkin” at the table of the Hebrews; and also, of placing it over the face of the dead? I have no idea and I can’t say I’ve heard of this before. Maybe it would be best to approach a Rabbi with this question? , the Creator’s original reckoning of time, is clearly defined according to the ancient Hebrew Scriptures – and the rhythm of life is cadenced by the appointed times of the Almighty.